Multiple shootings rocked Ottawa on Wednesday, bringing Canada's capital to a halt. Ottawa police confirmed shots were fired at two locations in close proximity to one another: the National War Memorial and Parliament Hill. Twenty-four-year-old Cpl. Nathan Cirillo was shot and killed in the attacks. At a press conference on Wednesday afternoon, Canadian officials said one male gunman was killed. An official later identified the shooter as 32-year-old Michael Zehaf-Bibeau. Canadian officials would not confirm or deny reports of multiple suspects during Wednesday afternoon's press conference. However, a spokesperson for Ottawa's police told The Huffington Post earlier on Wednesday they were looking for at least one other suspect. Royal Canadian Mounted Police intervention team walks past a gate on Parliament hill in Ottawa Wednesday Oct. 22, 2014. A little before 10 a.m. on Wednesday, police received several emergency calls reporting a gunman had opened fire at Ottawa's National War Memorial, fatally shooting a Canadian soldier who was standing guard. 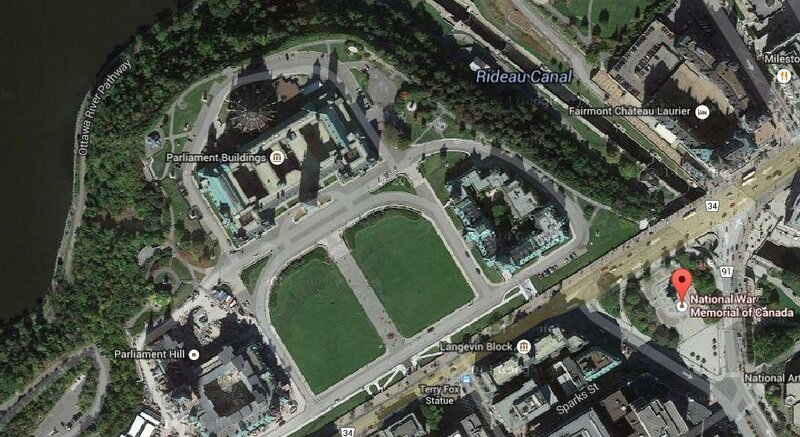 Witnesses told Reuters that the gunman then ran towards Parliament Hill, which is located across the street from the Memorial. Construction worker Scott Walsh told the news service that he saw a man dressed in black with a scarf over his face running towards parliament. He added that the masked man was carrying a double barreled shotgun. He saw the assailant hijack a car and drove it to the main Parliament building. A video released by the Globe and Mail Newspaper captured a gunfight inside the Parliament building, showing officers scrambling to take cover. Mark Strahl tweeted from inside the building he heard multiple shots being fired outside of the caucus room. Very tense situation in Ottawa this morning. Multiple gun shots fired outside of our caucus room. I am safe and in lockdown. Unbelievable. Cabinet member Tony Clement tweeted that he heard at least 30 shots inside the building. Four people were sent to Ottawa Hospital in the wake of the shootings, a spokesperson for the hospital confirmed. Three of them have been discharged. The fourth, the gunman, was deceased. Canadian Prime Minister Stephen Harper was reportedly addressing lawmakers inside the building at the time of the attack. A spokesperson for the prime minister confirmed that Harper had left Parliament Hill and is safe. The Parliament was on lockdown and police warned residents of downtown Ottawa to stay away from windows and roofs. Cell phones in the area were blocked. The Globe and Mail reported that public buildings in the area also went on lockdown. Canadian Forces bases across the country have been closed for the public. "Today is a sad and tragic day for our city and our country," Ottawa Mayor Jim Watson said in a press conference, adding that the origins of the attack were "not fully known, causes not yet fully understood." The incident comes just two days after police killed a Muslim convert in Quebec after he had hit two soldiers with his car in a parking lot near Montreal. Police say Martin Couture Rouleau fled in his car after hitting the two soldiers. He was shot by police after a car chase in Saint-Jean-sur-Richelieu, near Montreal. Canada had raised its internal threat level on Tuesday because of an "increase in general chatter from radical Islamist organizations," the Canadian Press reported. The White House said on Wednesday that President Obama was briefed on the attack and that the president spoke with Canadian Prime Minister Harper by phone. Obama offered Canada any assistance it would need to respond to the assaults. On Wednesday, Canadian Prime Minister Harper offered his condolences to the family of Cpl. Cirillo, saying he was "murdered in cold blood." "We will not be intimidated. Canada will never be intimidated," Harper said. He referred to the attack as an act of terror, saying, "This is a grim reminder Canada is not immune to the types of terrorist attacks we have seen elsewhere around the world." This is reportedly the first time Canadian government or police have referenced "terror" after shootings, noted Bloomberg News' Toronto-based reporter Katia Dmitrieva. A safety perimeter around downtown Ottawa was lifted by police later on Wednesday. Parliament Hill remained closed to the public, but Parliament members would return to work on Thursday, Industry Minister James Moore announced. 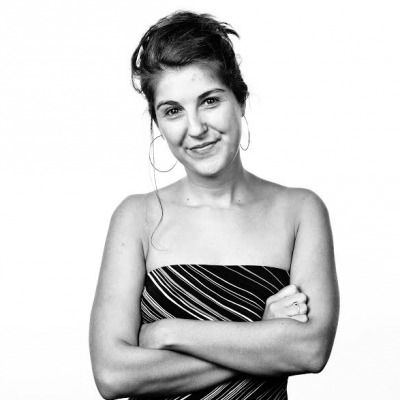 Alana Horowitz contributed reporting from Chicago. 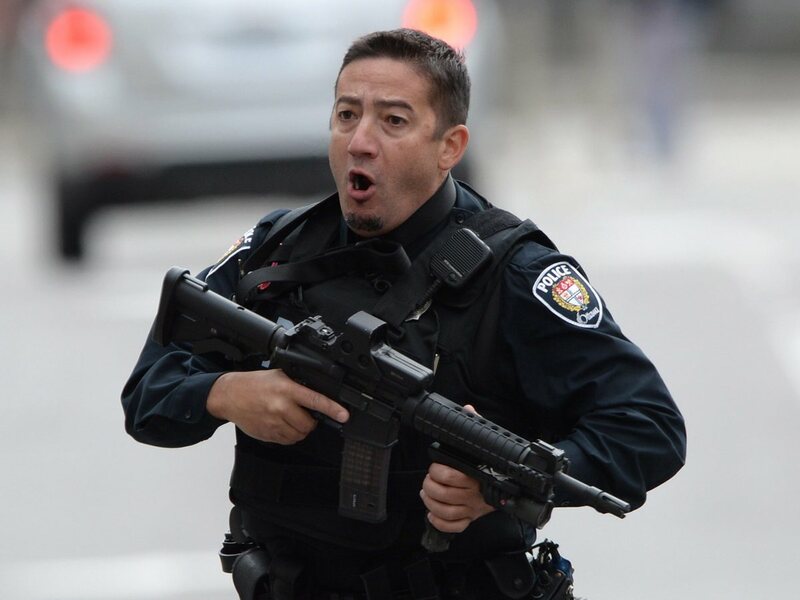 An Ottawa police officer runs with his weapon drawn, outside Parliament Hill in Ottawa, on Oct. 22, 2014.